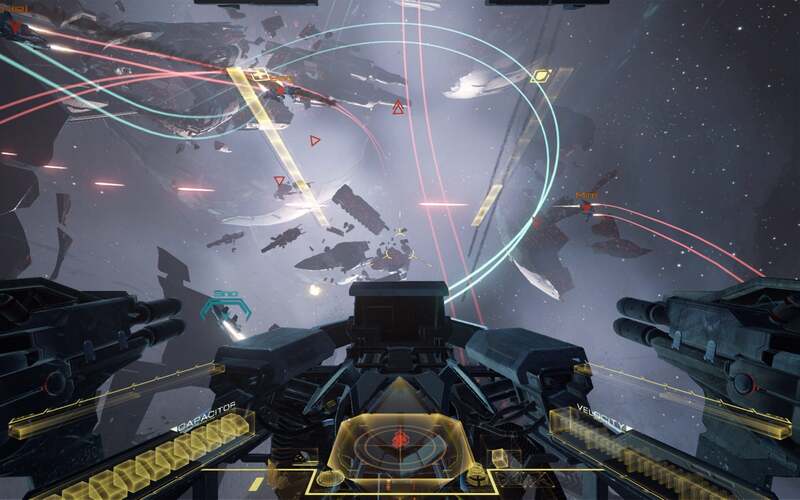 EVE: Valkyrie is the first game that ever sold me on the potential of VR. It was the last hour of the last day of E3 2013 and I was waiting for a last minute appointment with the Oculus Rift when an Oculus PR rep said to me "Have you gotten to try EVE: VR yet?" When he heard I hadn't, he told me to forget the Oculus demo and just go over to CCP to see the brief demo of what would eventually turn into EVE: Valkyrie. That early version of Valkyrie was the first "real" VR demo I experienced, and it'll always be a bit special to me for that reason. Before SteamVR, before Elite: Dangerous, before the Oculus Crescent Bay prototype and all these amazing VR strides the industry's made in the last two years, there was just this blurry little Rift DK1 and a janky prototype of a game that nevertheless turned me into an early VR advocate. Now it's 2015. Still no consumer-ready Oculus Rift. Ergo, no EVE: Valkyrie. But that might (sort of) change soon, as CCP announced today at EVE Fanfest 2015 that it's recruiting for a limited pre-alpha test. 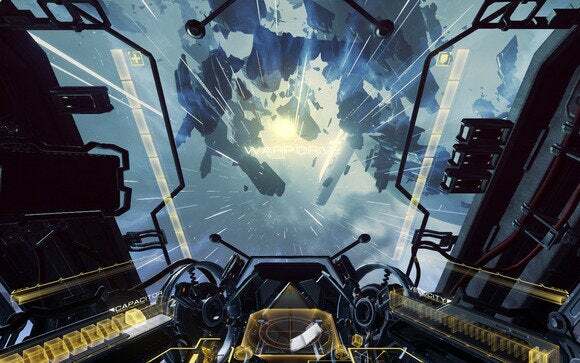 Some of you, at least, will get to try out Valkyrie's space dogfighting soon, provided you have a Rift DK2 headset. If you want to toss your Rift into the ring, you'll need to head over to the EVE: Valkyrie site and sign up. And it should be obvious but just to clarify one last time: You will need a DK2 to participate in the pre-alpha, so if you don't have one...maybe don't sign up? You'll also need either an EVE Online account or a Dust 514 account. Of course, a trailer doesn't really convey at all what a virtual reality game is like. There are some interesting things you can pick up from the trailer though, especially regarding scale: Look at the size and scope of some of those ships in comparison to your puny fighter. It'll be interesting to see how those larger ships play into the story, if at all. Our hands-on time was spent the same as previous hands-on sessions with Valkyrie though—10-person multiplayer dogfighting, though with a new objective-based twist focused on zone control. Side note: I confirmed with CCP that the Valkyrie demo at Fanfest was running on Nvidia's new Titan X cards. Mmm, tasty new hardware. The game benefits of course from the increased resolution and response of Crescent Bay. This is the best Valkyrie's ever looked, though even the Crescent Bay hardware is feeling dated after my time with SteamVR and the HTC Vive during GDC earlier this month. Still, I did back to back demos of Valkyrie on DK2 and Crescent Bay this morning and it's immediately clear how big a difference Crescent Bay makes. Other than that, it's...well, it's still EVE: Valkyrie. That is to say, it's an arcadey dogfighting experience, much more simplistic than the simulation-heavy combat of Elite: Dangerous or Star Citizen. And that's great! There's room for all three to coexist. It also helps that Valkyrie was built specifically with virtual reality in mind. Aiming missiles by simply looking at enemy ships is a great only-in-VR feature, and thus one that's still missing from games built for monitors and then ported over to the Rift. 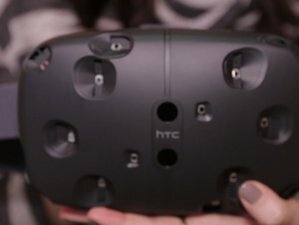 But the more times I see Valkyrie in a demo environment, the more conspicuous it is that Oculus is still playing coy with its consumer version release date—especially with the HTC Vive aimed for the end of 2015. 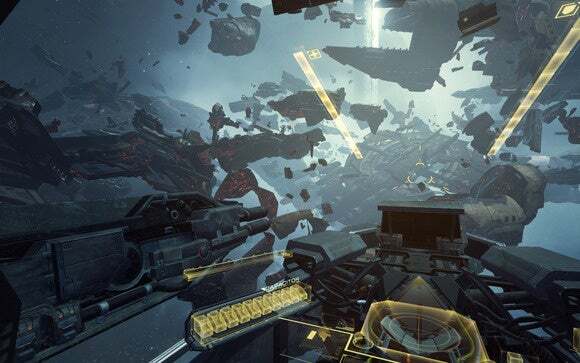 Valkyrie is an Oculus launch title and thus exclusive to the Rift as far as PCs are concerned, barring CCP from releasing a SteamVR version. Oculus Rift launch title doesn't mean much without an Oculus Rift launch date, though. Oh well. As I said, if you have a DK2 you can sign up for a chance to play Valkyrie sooner rather than later, so go ahead and do that. It's still one of the best, most polished VR demos I've experienced. But I hope by next year's Fanfest we're talking about Valkyrie as a fully-released product, not as potential.